If you want to easily talk to hundreds or millions of people today, we will make it simple for you. Voice Broadcasting helps our clients make sales, get elected, send reminders, and do surveys easily and simply. Instead of manually dialing or cold calling, we will quickly, automatically, dial and play your message. 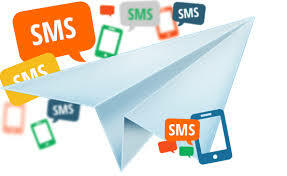 We can deliver your voice messages for everyone on a specific area in Saudi Arabia. What Is Voice Message Broadcasting Or Voice Broadcasting Campaign? Voice message broadcasting or phone broadcast is a communication technology that sends a pre-recorded phone message to hundreds or even thousands of call recipients in a very short period of time. This technology can be used in business applications for marketing campaigns and for community alerts and notifications. Our team will guide you through the steps to create a powerfully persuasive set of pre-recorded phone messages, and then we will use our advanced technology to deliver these compelling pre-recorded messages to your targeted audience or to the list of your prospects.